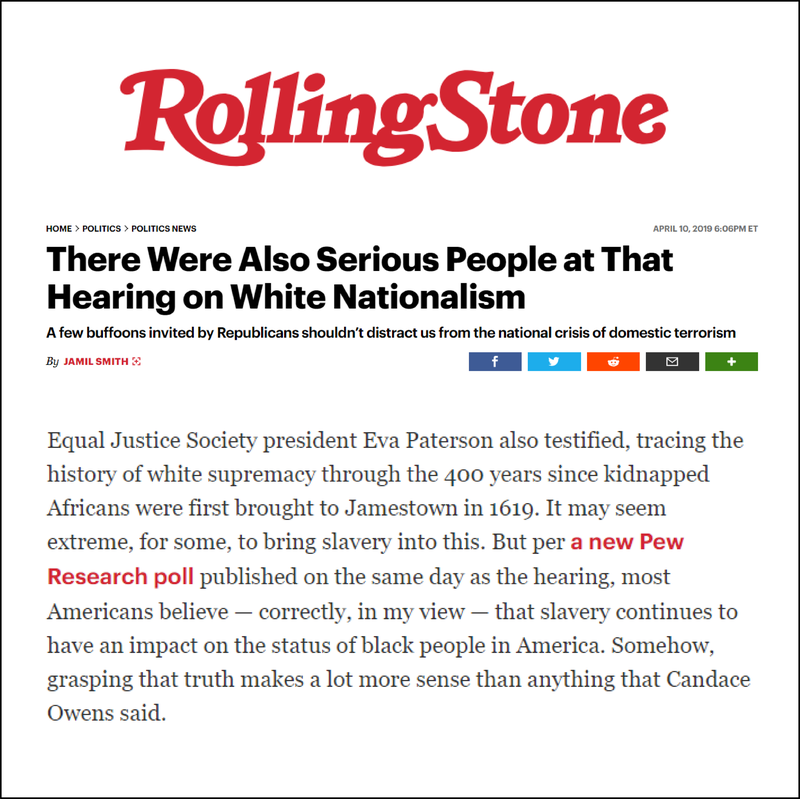 Equal Justice Society President Eva Paterson testified Tuesday at the hearing on Hate Crimes and the Rise of White Nationalism before the U.S. House of Representatives Committee on the Judiciary. Watch the testimony and read Eva’s testimony. Tonight’s PBS NewHour features a segment by Yamiche Alcindor with EJS President Eva Paterson on reparations and the 2020 presidential election. Click for viewing details. Send any items you find to TWIWS@equaljusticesociety.com.